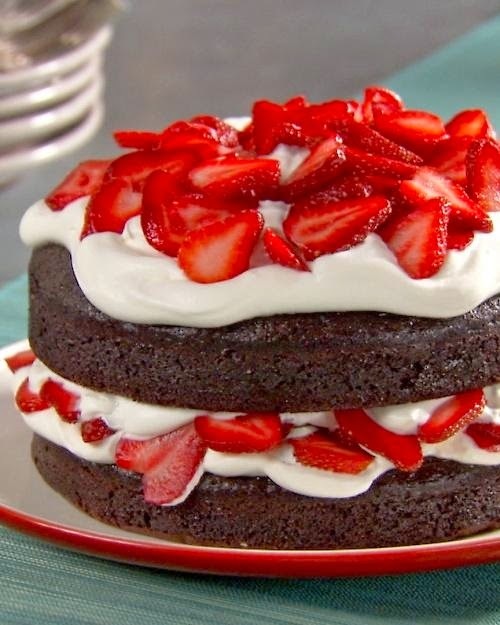 Chocolate Cake with Whipped Cream and Berries | FoodGaZm.. Whip the cream to soft peaks, add the sugar and vanilla, and whip again until just stiffened. Do not over mix! Slice the top off 1 cake round to make a flat surface. Spread bottom cake round with a thick layer of whipped cream. Top with a layer of half the amount of strawberries. Top with the other cake round and spread with another thick layer of whipped cream. Top with remaining strawberries.